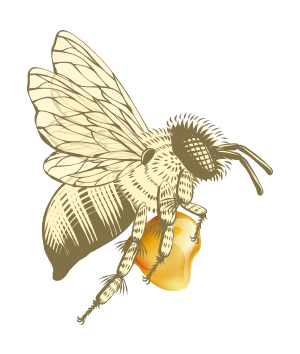 Dear Honey Beeliever, Our honey is certified pure and free from additives and has a quick revitalizing effect. I often say: Your concern is my concern. To make you totally trust my honey, I work under international certifications such as ISO 22000, FSSC 22000, and HACCP to safeguard optimum hygiene and enable you to enjoy the honey with peace of mind. I have also invited SGS to come and test it under the strictest standards to confirm that our honey is free from residues of pesticides, animal drugs and antibiotics, so that you don’t need to fear that our honey may affect you over time. Although I am not a good talker, I am an honest beekeeper and I hope you’ll love the honey from my farm. ◎ International HACCP food safety control certification. ◎ International ISO 22000 food certification. ◎ Compliance with Taiwan’s CNS 1305 honey standards. ◎ Excellent Honey certification of Taiwan Beekeeping Association. ◎ Excellent Honey certification of the Chinese Honeybee Product Association. ◎ The first honey farm in Taiwan to pass GMP Food certification. ◎ Certification by Tse-Xin Organic Agriculture Foundation. ◎ Each batch of honey must pass the SGS pesticide residue test. ◎ Each batch of honey must pass the SGS animal drug and antibiotics test. ◎ Many Awards of Excellence from the International Taste & Quality Institute. ◎ Partner of the Chinese Taipei Olympic Committee 2013. ◎ Yunlin County Premium Ten Gifts in 2010 & 2014.